Home / Stools / Elastic Mesh Seat Stool w/Flip Arms - 24"-31" Seat Ht. Home / Mesh Office Chairs / Elastic Mesh Seat Stool w/Flip Arms - 24"-31" Seat Ht. 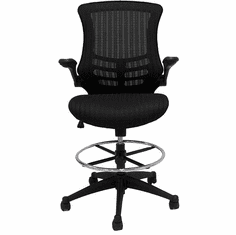 Ergonomically-designed stool features an elastic mesh seat and backrest to keep you comfortable and cool. Flip up arms easily move out of the way when not in use. 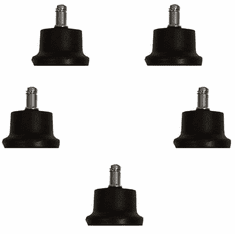 Seat height range of 24" to 31" for use around standing height tables and desks. In stock in 3 colors! Shpg. wt. 49 lbs. Ships unassembled. Meets CA fire foam approval. 5-Year Limited Warranty. PRICE INCLUDES SHIPPING! IN STOCK! * Elastic Mesh not only breathes but will never bottom out like a traditional foam cushion stool. * Incredible wear and durability of elastic mesh is unequaled. 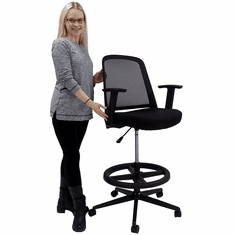 Seat never �bottoms out� unlike traditional foam seating. * Contoured padded flip up armrests are easy on the forearms yet durable. * Dual wheel carpet casters included. 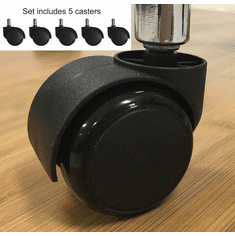 Optional Soft Casters for Hard Floors or Chair Glides sold below. * 250 lbs. weight capacity. * Gas lift seat height adjustment from 24" to 31" high. * Adjustable height 20" diameter chrome footring. * Measures 24"W x 25"D x 42"-49"H overall. 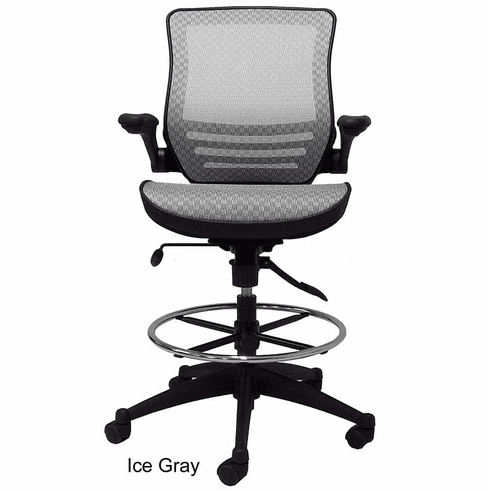 * Backrest measures 18"W x 20"H.
* Seat height range is 24" - 31"H from top of seat to floor.